WHAT DO YOU SEE IN AN MR IMAGE? Identify the type of radiation that is emitted from the patient's body and displayed in a magnetic resonance image. Identify the temporary physical condition in the tissue of the patient's body that is the source of the emitted radiation. Name the three basic tissue magnetic characteristics that are the sources of contrast in magnetic resonance images. Name three types of fluid movement that can be imaged with MRI. Explain the significance and roll of the element hydrogen in MRI. Give a more descriptive name for the two tissue characteristics commonly known as T1 and T2. Explain what is meant by a weighted image, as in a T1 weighted image. Identify the characteristic of signals emitted by tissue that is affected by the type of molecules and is the basis of MR chemical spectroscopy. Describe the characteristic of protons that make them different from many other atomic nuclei and make them useful in the MRI process. Describe how a section of a patient's body is typically divided and viewed as images in MRI. Sketch and illustrate the concept of a voxel. Sketch and illustrate the concept of a pixel. Describe the concept of contrast sensitivity and how it relates to MRI. Describe the concept of image detail and why it is an important characteristic in medical imaging. Identify the factor associated with all imaging procedures that limits visibility of detail in an image. Describe the general appearance of noise in an image and why it is often an undesirable characteristic. While looking at a magnetic resonance image, identify the noise. Describe the general appearance of artifacts in images. When viewing magnetic resonance images, recognize artifacts if they are present. 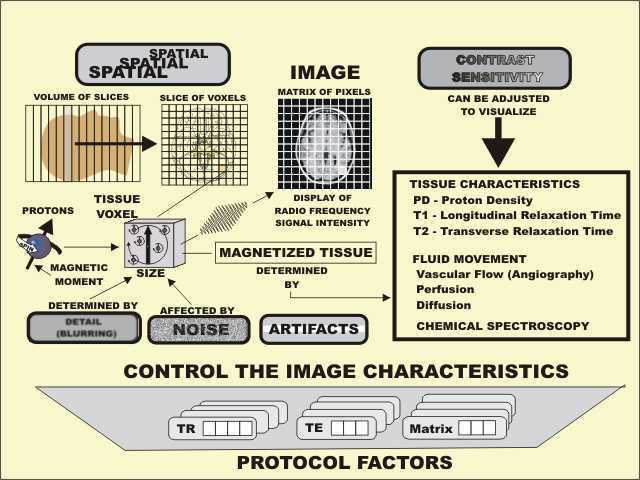 An imaging procedure is controlled by a protocol of selected imaging parameters. 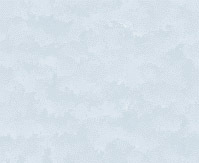 Explain the general concept of an optimized protocol.